January | 2010 | It's a Miracle! There was a rather peculiar question in the All-India Pre-medical and Pre-dental Entrance Examination a few years ago. The question in the biology section asked if children of doctors were genetically inclined to become doctors themselves. I am sure that there were some students who filled in the “b” or “c” circle with their No.2 pencils for all questions they did not know the answer. Some must have chosen that option. Will we ever see this story outside of the The Indian Bakwaas? Reflecting back to the gist of the question, I can say that it is certainly true that many physicians want their children to follow in their professional footsteps. The same also applies for practitioners of professions such as law, politics, sports, and engineering. The Hindu caste system was originally based on professions. Even today there is controversy regarding the touchy topic of race and ability. Geneticists are however, quick to point out that there is no “race gene” in the human genome. Arguably the most visible instances of offspring following in footsteps all the way down to nepotism can be found in the Bollywood Hindi film industry. A staggeringly large proportion of lead actors and actresses who get their first “big break” in Hindi films come from filmi households. Yes, I have heard many of the usual arguments. The parents of these youngsters finance many of the movies. They are well-connected. They have acting in their genes. They are more marketable. Further, arguments are made that financiers can choose whoever they want in a free country.The public is not forced into watching anyone’s films. And many actors and actresses related to industry folks have flopped miserably over the decades. For every Hrithik Roshan, there is an equal and opposite Puru Rajkumar. These are all valid points. But my question is this: if we can have rational discussions on mandatory reservations for underprivileged castes and classes in India in the public and private sector, why can’t we imagine quotas in the top-spots in films for those of us not related to film-royalty? A research article published this week in the prestigious scientific journal Proceedings of the National Academy of Sciences caught my attention. Two German scientists report that monkeys have the brain structure to learn and apply basic mathematical rules. Chartered accountants and theoretical physicists thought they were unique, but now this article shows that non-human monkeys can do math too. I was thinking back to my own painful experiences learning math from sadistic teachers in India. Even now sometimes I wake up in the middle of the night in a cold sweat. Sharmaji, sir, if you are reading this, please know that calling us “dung-heads” in third period while bragging about your brilliant son who was a topper at IIT Powai didn’t transform us into Srinivasa Ramanujan. Instead, it scarred us for life. Some of us still have a hard time calculating the tip at restaurants. The syllabus of Indian Certificate of Secondary Education and West Bengal Board of Secondary Education didn’t help either. There were always these math problems that made no sense at all. For instance, there was this math problem asking how fast water runs out of a bucket with a hole at the bottom and the tap running at the top. We were always advised to solve the problem in our “copy” without thinking about what kind of duffer would wantonly waste water that way. But the worst ones by far, were the monkey problems. There was always some variant of an arithmetic problem where a monkey tried to climb an oily bamboo at a set speed while slipping. 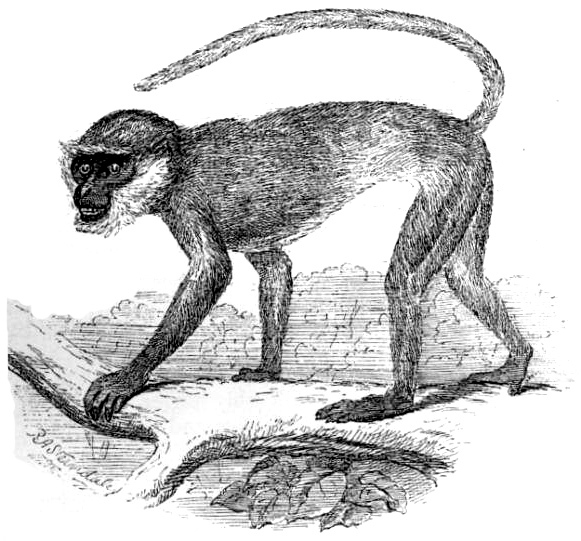 For example, as the monkey climbed two meters, it fell by one. The problem would always end by asking how long it would take for the monkey to climb to the top of a bamboo tree of a predetermined height. Clearly, the first person who came up with this problem didn’t know anything about anything other than impossible math problems. Why would a monkey climb a bamboo in the first place? What was at the top of the bamboo? Bananas do not grow on bamboo trees, they grow on banana trees. What sort of person would oil a bamboo anyways? How would a bamboo be oiled? What kind of oil would be used? What was the purpose of this stupid exercise? The more I think about it now, the more my blood boils. Some sadistic teacher decided to take out his frustration on generations of impressionable boys and girls because he (and it has to be a he) failed to do anything successful in life and his wife was boring and ugly. I can’t also help but be amazed at just how brilliant non-human primates are! They can actually do math and yet they choose not to! No longer can they hide this fact though. Now, as humans we can inflict the same sort of pain on them too. Let them do ridiculous problems in which humans try to climb oily bamboos. To make it interesting let us get oily desis with no other purpose in life to actually climb bamboo trees while the monkeys do the math. Now, I feel that my life has changed. From now on, whenever I need to know the difference between GCF and LCM, I can consult a wise orangutan named Yoda. At least Yoda doesn’t have a brilliant child who is a topper at IIT Powai. Now monkey… how does it feel now? You may have heard the story before. Clueless desi chap fresh off the boat from India (or any other country in the South Asian subcontinent) arrives in the land of frozen pizza and burritos. He enrolls in graduate-level classes, rents an apartment with a few other clueless guys from his homeland, and finds some “hand-me-down” furniture. Within days, he faces the first challenge in his life, and no, it does not come from the classroom. It comes from the kitchen. Having exhausted the collection of dry sweets, mixed pickles, and salted snacks that he brought from home, he now has to think of doing the unthinkable – he actually has to cook something. Of course, he has taken the crash-course in assembling a pressure-cooker; and in cooking rice and a frugal dish of rajma or dal from his mother. But now like the cadet fresh out of boot-camp, he actually has to fend for himself. Take a moment to consider the impossible situation. Our hero (or anti-hero, if you please) has never actually seen the inside of a kitchen before. To use a well-worn desi cliche, he may not ever have poured himself a glass of water. In his world, there were always servants that did the cooking, restaurants and chaat-stands for eating out, and doting parents holding the tiffin-box and the glass of milk with Complan (which everyone in India knows has “23 vital nutrients in balanced proportion”). Except his parents have actually never used a conventional oven. And neither has many of the billion plus people in his country of origin. Regardless of how much you enjoy the tandoori chicken and naan at the neighborhood Indian buffet, the fact is that these dishes are as much a part of home-cooked regional Indian cooking as the overpriced 1000 calorie mango chai-latte that was supposed to make you feel in tune with your spiritual self. Visit a home in Gujarat, Tamil Nadu, West Bengal, Maharashtra, Punjab (and other states) and you might be treated to a 10-course meal with unique flavors. You will marvel at the range of spices used and the complexity of the dishes. There might be a couple of delicacies that have been fried, steamed, blanched, curried, or grilled. But I’ll wager that you will probably not be treated to a baked casserole. Sure, there might be a casserole pan on the table, but it will likely be used as a serving dish. This is in slight contrast to some of the baked fare that Indian restaurants serve. Of course, nawabs and emperors had their own tandoor-enabled kitchens for succulent delicacies. Middle-class Indian homes never had the luxury of large conventional oven. So, regional Indian cuisine developed over thousands of years without an extensive repertoire of home-cooked baked dishes or recipes calling for baking. The Portuguese probably bought European-style baking and gave Indians the word for leavened bread. And over the centuries, Indians developed a taste for different types of cakes and breads. But, the reason Pappu can’t bake is that most Indians still get their baked goods from bakeries. Happy New Year. Welcome to the Tenties. Are you one of the gazillion people who resolved to lose weight this year? Well, you will fail and there is a scientific reason why you can’t lose weight. Sure, there are a few lucky ones who will lose weight in 2010 and keep it off. Maybe you bought some cans of Slim-Fast in 2009 and forgot to return them when Unilever announced the recall due to possible bacterial contamination? Drink those and you might actually slim faster. Nothing like dysentery to loosen up the innards and cause acute weight-loss. Of course in 2010, some of us will diet and actually gain a lot of weight instead. Who knew that eating whole four-legged animals for breakfast, lunch, and dinner, while skipping carb-rich rice and bread wouldn’t keep love-handles at bay? Those are the fringe elements. This year most of us will diet and neither gain nor lose any significant amount of weight. And there is a perfect scientific explanation for this. The explanation comes from physics (which has given us the Large Hadron Collider and antimatter which are very useful in our daily lives). And because the explanation involves mathematical formulae you know it has to be true. You may remember something called simple harmonic motion from your high-school textbooks. If you don’t, I envy you; you were probably having some fun back then (unlike some of us). Well, simple harmonic motion is like a Mexican wave, only way more boring to watch. Know what else is like a Mexican wave? Weight! 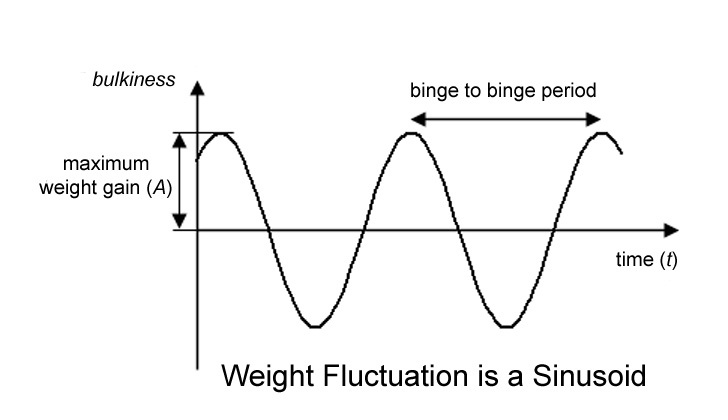 Weight gain and loss follows a simple mathematical function know as a sine wave. This year, every time you eat like it is your last meal, you will gain weight until you hit a maximum threshold weight. Then, if you have parents who ever made you feel guilty about anything, you will start dieting until you feel marginally good about yourself. Of course, it will be time to feed the face again. And so your tussle with weight control will continue ad infinitum. You don’t need to know what any of that means, just trust me. I’ve given you a perfectly scientific reason why you will fail to lose weight this year, regardless of how hard you try. And now that you know the truth, let it set you free!